Bentonite - Specialty clay used to increase viscosity, provides smoother texture and offers good application properties. All-Natural Essential Oils - Orange, Peppermint, Spearmint and Lime Oils soothe, refresh, cool and naturally fragrance the product. I've tried lots of different products trying to achieve what I want for my hair, without success. I've tried many, many, brands, and I have spend a LOT of money. 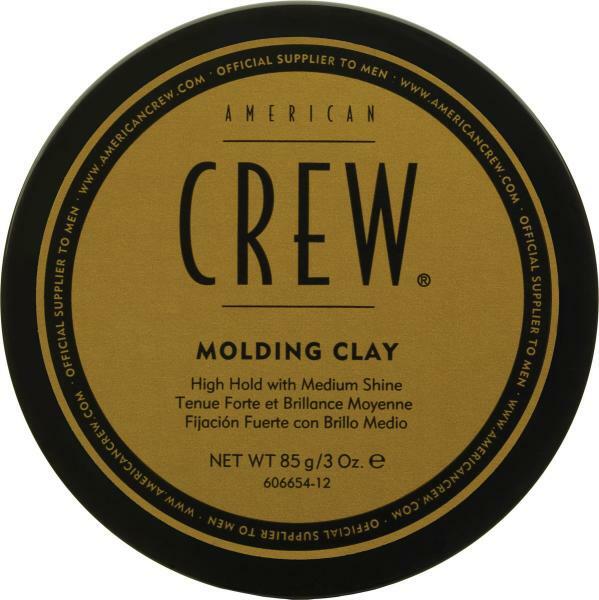 I genuinely have found 'American Crew Moulding Clay' to be the best product for my hair. Now, this is totally subjective, as everyone's hair is slightly different I think. I have hair around 7inches in length at the front, and 4inches at the back (in a pomp style). I think this product gives good hold, in pre-styling or post-styling. It's not crispy or gel like in it's hold. It's still manageable and you can easily run your hands through it during the day if you like. It gives a wax-like appearance on the hair without the greasiness of a wax. It also give a good level of shine. It's not going to blind anyone with it's shine, but its enough to make the hair look healthy and glowing. I genuinely love it because it works so well in my hair for hold, shine, and manageability. I have used a good few products on this Website and so far this one is my least fave. It makes my hair look very greasy with little hold at all. Used it once and wont again so a waste to say the least. This might work for you, but certainly not for me. This Molding Clay is a really good product and styles the hair well. 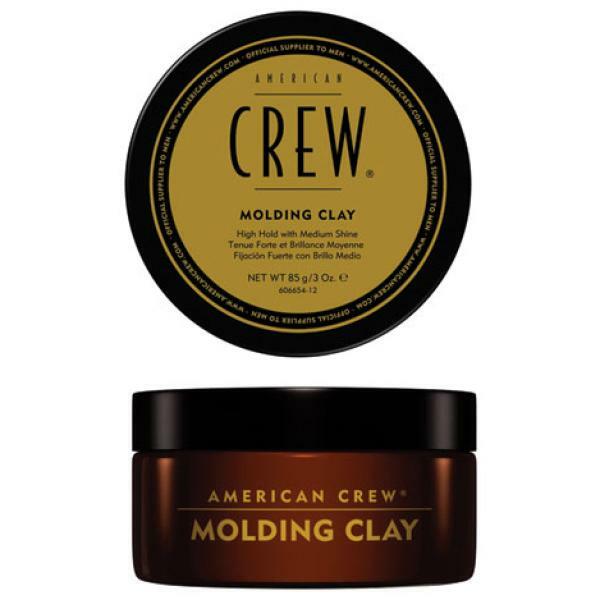 I was experimenting with it as normally use Alterna but my original clay has been discontinued. I will probably stick with this for a while now as it seems to do the job, however it doesn't give me the ultimate matte look I was looking for so my loyalty won't be that strong. At first I hated this wax i thought it made my hair look greasy but now I love it and think it is an excellent alternative to fiber as it gives more shine, if at first you don't like it don't give up straight away you will learn how to use It, what I do is use American Crew ultra matte or boost cream when my hair is when then dry is with a hair dryer for volume and body then use a tiny bit of this to go over it and finish the style. Smells great and is applied to you hair really easily but seriously lacks hold. It's definitely not strong hold, more of a medium. Bought for my son as he's bone idle. What's not to like-free delivery, competitive price, quality product. I've tried a lot of hair clays, including offerings from Toni & Guy, Innovia, Matrix and Sebastian, but the Citrus Mint version is the best by a hundred miles. Unlike other clays this isn't too hard or lumpy, it smells great and gives a superb long lasting texture effect. Brilliant stuff - buy it now! American Crew stuff is always good, (beats the hell out of Brylcream and other all-advertising/no-substance products). This one's great if you want a product that holds hair without looking like you've got a product in your hair. Also mouldable, so if you bung a cap on you can rework the style a little. I'm on my third pot. Nice and subtle and easy to washout! I have pretty thick, short hair that I wear in a roughish, textured look. I've used loads of stuff in the past, but mostly salon, supermarket stuff. The one I've stuck with most in the past is VO5 clay..it's good as it textures well and is a matt finish, but I had a constant build-up post hair wash and could never get it out! This stuff is excellent! It smells great, rub between hands to warm and a little goes a long way. It's good that you can restyle, but the best is it washes out easily so you're hair looks great the next time! Thank God I found this website and opened my eyes to all these new, 'better' products that are available!! I usually use the fiber, but to be honest this is just as good. Gives a nice matte finish, and you can keep restyling for a good few hours. Even with my wild hair. Maybe it's just my hair type, but I find this to be a great product. Use a little for subtle matt styling, and if need more hold then use a little more. I don't know other products that can do both well. I use other products for when my hair is short, but to be honest I am not sure why! I am also not sure why anyone would think it was gritty because it's far less so than any other product I have used. When my American Crew Fiber ran out I thought I'd give this a try. I was really hoping for more. Don't get me wrong it's still a nice texture to use- looks good and smells nice -sort of minty. What I didn't realise is that if you look closely it has tiny reflective particles in it- so when you're using it there is a noticeable shine- which isn't necessarily bad. Doesn't really fit with the matte look but it's ok.On the downside I don't find it very easy to wash off at all. After washing twice with shampoo I can still feel the residue and I don't use very much at all. The Fiber is great in that respect as it can be washed out just with warm water if you don't want to shampoo every time.Might be a minor point to others but makes the difference for me. I'll be going back to the Fiber. Good hold, but a little gritty. I tried this product a while ago, impressed by it's simple packaging and story. This is an interesting product and aesthetically smells and looks good, however I found it a little too gritty to compare to some other clays and shapers, and left a 'just left the beach' look.